and years of footwear industry experience, OluKai built their brand on their passions for the environment, giving back to their community, and durability and craftsmanship of their products. Designed to emphasize our connection to the earth, each OluKai shoe is manufactured to enhance the bio-mechanical shape and function of the foot with an anatomically designed foot-bed. All OluKai sandals and shoes demonstrate a balance of rigidity and flexibility that provides support on shifting sands or on your morning commute. This balance also makes them the most popular, comfortable and versatile shoes on the market. OluKai sandals continue to rank in the annual Top 5 Sandal lists for a reason - they know how to design great shoes. Their Flip Flops are so well loved by Hawaiians that the Hawaiian Lifeguard Association made them their official footwear provider. OluKai sandals can be worn while running, climbing, and still look great on a night on the town. As a brand, they strive to bring the "Aloha Lifestyle" to their customers,in their footwear structure, sustainability through production, community efforts, and minimal environmental footprint. We trust OluKai's products and their values. Did you know their logo mark, the Makau ("bone hook") is a traditional Polynesian symbol for strength and good luck which can embody the visceral connection that exists between people and the ocean. They believe and promote the idea that life in harmony with the ocean is the best lifestyle. We are proud to offer OluKai footwear because we often hear many positive reviews from our customers and well as our employees. They truly know footwear, know how the foot works, continue to design sandals, shoes, and flip flops that provide the support, versatility and multipurpose functionality to keep you at your best, everyday. Olukai shoes and sandals are all about laid back luxury, and have a look and style that looks great at either the beach boardwalk and the company boardroom. Check out this video to learn a little bit more about the brand and it most popular footwear. Q: How do I clean my OluKai? The Mauka Collection, meaning toward land, are shoes that do best on land. To treat day-to-day wear for lighter colored leathers, nubuck and suede, Olukai recommends using a nubuck cleaner and conditioner as needed. For full grain leather, OluKai recommends cleaning with saddle soap or leather cleaner and conditioner as needed. You can find these products at most footwear dealers and/or shoe repair shoes. Shop all shoes and sandals in the Mauka Collection. The Makai Collection, meaning toward water, are shoes that work well in and out of the water. OluKai recommends cleaning with mild soap and cold water. To remove excess dirt or spot clean, use a brush or soft cloth. Synthetic sandals may be cleaned in your washing machine using mild soap and cold-water temperature setting. After cleaning, let your shoes or sandals air dry away from heat - never use heat on you OluKai sandals or shoes. Shop all shoes and sandals in the Makai Collection. Q: If I wear a half size in shoes, how should I size my OluKai? OluKai casual shoes come in both half and full sizes, but OluKai sandals only come in full sizes. Fit can be a bit difficult to determine, as it is usually your personal preference. If you are usually a half size, there are several aspects to consider when deciding to size up or down. If you prefer extra room in your sandals, we suggest going up a half size. If you prefer a more snug fit, it is recommended to order down a half size. Please keep in mind whether your feet are narrow or wide, as this may affect the fit. 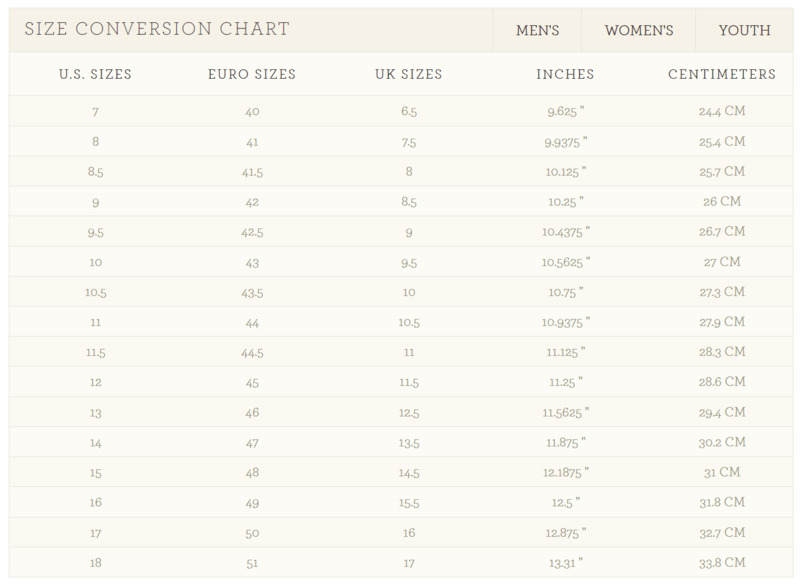 For more specific information about sizing, see the Sizing tab. OluKai shoes tend to run true to size. If you want to make sure you're getting the perfect fit or think you're in between sizes - see our sizing chart below with Men's, Women's & Children's sizing information. Anything not listed will be determined solely by OluKai.